What Should I Do If I Was Terminated for Being Pregnant? What do I do if I have been fired for being pregnant? If you are under the impression that your (former) employer violated state or federal laws that are meant to protect certain groups of people — like pregnant women, for example — like the Pregnancy Discrimination Act (PDA), Americans with Disabilities Act (ADA), or the California Fair Employment and Housing Act (FEHA), and want to pursue legal action to rectify this disregard for the law, you will have to file a charge of discrimination with a government agency. You may have to file the complaint with either the Equal Employment Opportunity Commission (EEOC), or California’s Department of Fair Employment and Housing (DFEH). The EEOC is the federal agency which interprets and enforces the workplace discrimination laws in the country. Depending on where you file your claim, you have either 300 days or one year from the incident to file your charge. 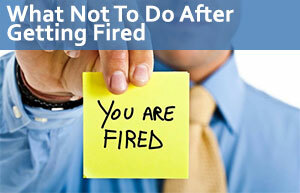 You cannot file your lawsuit against your former employer until you have taken your claim to either EEOC or the DFEH. If you do not want to waste any time, you have the option to ask either branch to issue a “right-to-sue” letter. The Right-to-Sue is a document that confirms that you have met all obligations to file a charge with either agency. (EEOC and the DFEH act in unison and have a work-sharing agreement, so a claim filed with one agency is also filed with the other.) Once your letter is issued, time is of the essence because you only have 90 days to file your lawsuit based on federal (EEOC) claims, and one year under state (DFEH) claims. If, however, you claim that your employer violated the FMLA or the CFRA, you have the option to go straight to court without filing a claim to any government agency. There are plenty of forms of compensation for damages you received for your wrongful termination that are available to you if you are to prove that your employer acted on unlawful grounds if you win your case. Punitive damages that are intended to punish your employer for their unjust and unlawful actions — this is only given in certain circumstances in which the employer intentionally acted maliciously or in some egregious way. If you believe you were wrongfully terminated for discrimination and are thinking about filing a charge with the EEOC or DFEH, you should talk with an employment legal expert. Employment attorneys can assist your case and determine whether or not you have a strong enough case, what your claim might be worth if won, and how to best assert your rights. An experienced lawyer can help you settle the case with your employer, attend all sessions and interview that are pertinent to your case, and represent you in court if an agreement is not reached in previous talks. If you were wrongfully terminated for pregnancy discrimination, you deserve to have a team of expert lawyers on your side to help represent you and get you the compensation to which you are entitled. Contact our law firm today for a free consultation. If we take your case, our law firm will not charge any upfront fees.